To find out how to get the best performance out of your general purpose and alkaline batteries, as well as how to properly recycle or dispose of them when they've been depleted, follow the easy battery care and disposal tips below. Make sure that you insert batteries into your device properly, with the + (plus) and - (minus) terminals aligned correctly. CAUTION: Some equipment using more than three batteries may appear to work properly even if one battery is inserted incorrectly. Store batteries in a dry place at normal room temperature. Do not refrigerate or heat up your batteries; this will not make them last longer. Duracell encourage you to recycle packaging as well. As part of their commitment to preserve the environment, they use only nontoxic inks in their packaging and the card portion of the package is made from 55% recycled material. The plastic portion is made with 30% recycled plastic. The battery "can" is made with 40% recycled steel to reduce environmental impact while still maintaining strength. There are currently 60,000 places to deposit used batteries for recycling. To find a recycling point, please click on the link below and enter your postcode on the BatteryBack webpage. Consumers can also dispose their used primary and rechargeable batteries, chargers and PUCS within the collection network which generally includes drop-off facilities at municipal depots, businesses, institutions, etc. *The distance travelled by consumers to a drop-off point has a strong bearing on the environmental footprint. We advise consumers not to make journeys specifically for disposal of battery products, but to incorporate this within their other domestic activities. We also have a legal requirement (and are happy) to accept used batteries from our customers for disposal and/or recycling. We ask that you read the following information and guidance and always consider the environment, before making an informed choice regarding disposal. piggyPower Batteries are a distributor but not a producer of portable batteries. 1. 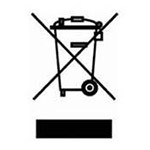 If you are a distributor then you should contact one of the schemes to arrange for suitable bins or boxes to be delivered and for subsequent collection as the regulations require. There may be a charge for the bins to offset their cost and to encourage sensible usage. 2. If you are an end user then many of the schemes will still be interested in collecting from you, so long as the quantity is economically and environmentally viable. piggyPower Batteries has an arrangement with Batteryback (www.batteryback.org), which has a very extensive waste collection network in place already and is interested in collecting quantities of 50Kg and over (equivalent to 2100 alkaline AAs). 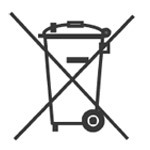 For smaller quantities, the compliance scheme websites will be able to direct you to the nearest free collection point*. For amounts weighing 50kg or more of used batteries, piggyPower Batteries can help arrange a pick-up. Collections take place within 7 days of arrangement. If you believe that you will frequently have large amounts of used batteries, we recommend that you keep a battery container. There are different options available including indoor and outdoor variants of different capacities. Bins are subject to a small deposit. For more information on this, or to arrange a collection, please fill in our 'enquiry form' on our contact us page. *Once again we would like to remind you that the distance travelled by consumers to a drop-off point has a strong bearing on the environmental footprint. We advise consumers not to make journeys specifically for disposal of battery products, but to incorporate this within their other domestic activities. If, after you have considered, all of the environmental implications, you still prefer to return your used/depleted batteries by post. Please note, you should only return standard portable batteries (I.E. The ones we sell, for example, Alkaline, Rechargeable, Zinc-Air, Button Cells etc). WARNING (PLEASE READ BEFORE SHIPPING ANY WASTE BATTERIES). VERY IMPORTANT: Some Batteries, I.E. Lithium Batteries, Car Batteries and most Specialist Industrial Batteries have HAZARDOUS WASTE REGULATION REQUIREMENTS and cannot be transported via regular postal/courier methods. Usually these types of batteries require transportation via an Approved Battery Exporter (ABE). You should NEVER return these types of batteries to us, you will most likely be in breach of the law and we will most likely refuse to accept the shipment and it could be returned to you, or reported to the relevant authority. In addition to "traditional" rechargeable batteries like AAs or AAAs, rechargeable batteries like the ones found in everyday household items such as cameras, cell phones, laptops, and power tools should also be recycled. Look for the battery recycling seals on rechargeable batteries. Car batteries containing lead should be brought only to waste-management centres, where they can eventually be recycled. Because of the value of battery materials, many auto retailers and service centres will buy back your used car batteries for recycling. Please feel free to contact us, (click 'Contact Us' at the top of the page). We are happy to answer any questions, or queries.